The Hungaro System´s Ltd. is a exclusive representative of the Belgian Capsugel capsule manufacturer. The hard gelatin capsules are the main „wrapper materials” in the pharmaceutical and dietary supplement manufacturers and pharmacy products, medicines, dietary supplements and magisterial preparations. 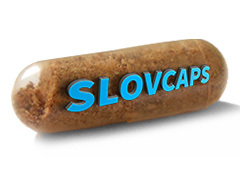 In Hungary, most of the companies, which are filling capsules, they are using Capsugel capsules. The two-piece hard gelatin capsule mainly consists from powder, herbal, vitamins and mineral components. Looking at the two-piece hard gelatin capsules can be made of gelatin Coni Snap, cellulose (HPMC) or delayed consulating DR Vcaps Caps or pullulan (tapioca) Plant sucrose-based Caps.